Our mission is to design functional, navigable, high-quality, and creative solutions to satisfy our customer's needs. At Oongawa Design, each web site is custom-tailored and hand-coded to meet the needs of the client and the specific project. 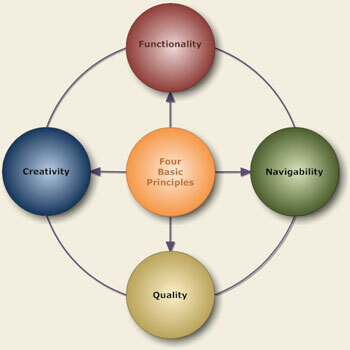 We model our web site design on four basic principles: functionality, navigability, quality, and creativity. Functionality A website is an extension of your business. Your product or service must be immediately recognizable and the website should reinforce your branding. Navigability Well-designed websites should be easy to navigate. A frustrated visitor is a lost customer. Quality High-quality websites positively reinforce your company's image. Do you want the professionalism of your business undermined by a badly-designed, poor-quality website? Creativity We strive to design simple, yet creative websites that differentiate themselves from poorly-designed websites. Potential customers will remember a creative, professional-looking site more than a plain and poorly-designed site.